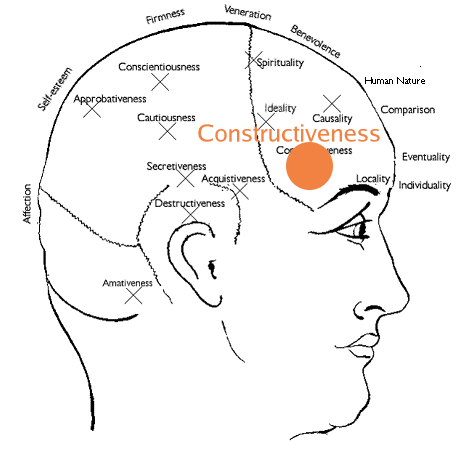 Constructiveness is the seat of inititative, creativity and originality. It confers the capacity to plan and construct, to design and invent, to organise and devise ways and means of carrying out projects with ingenuity and dexterity. On the temples, below Ideality. Constructiveness + positive Acquisitiveness + positive Perceptive faculties: business and commercial propensity.